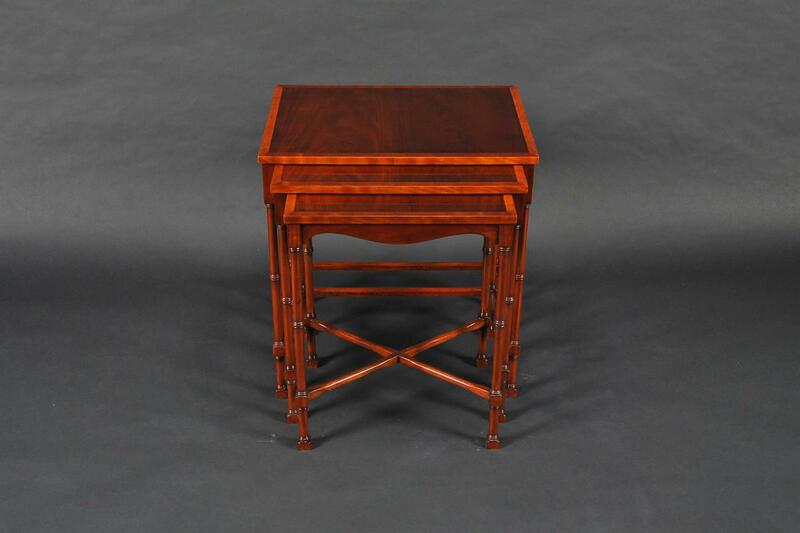 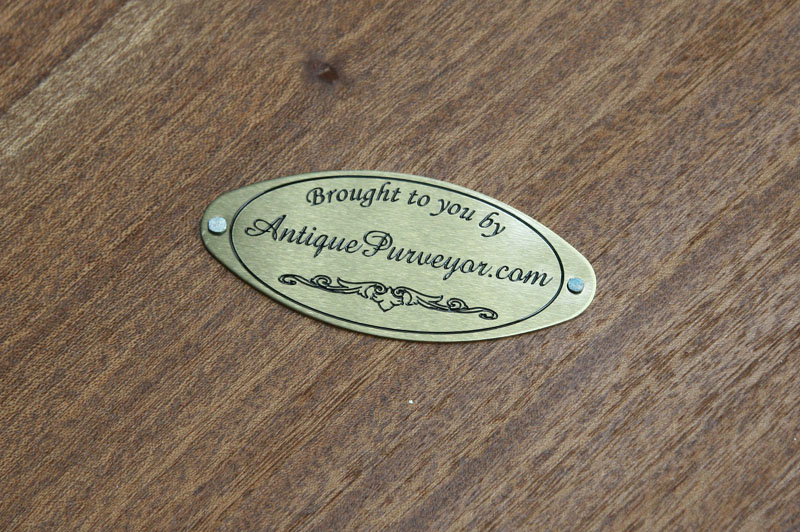 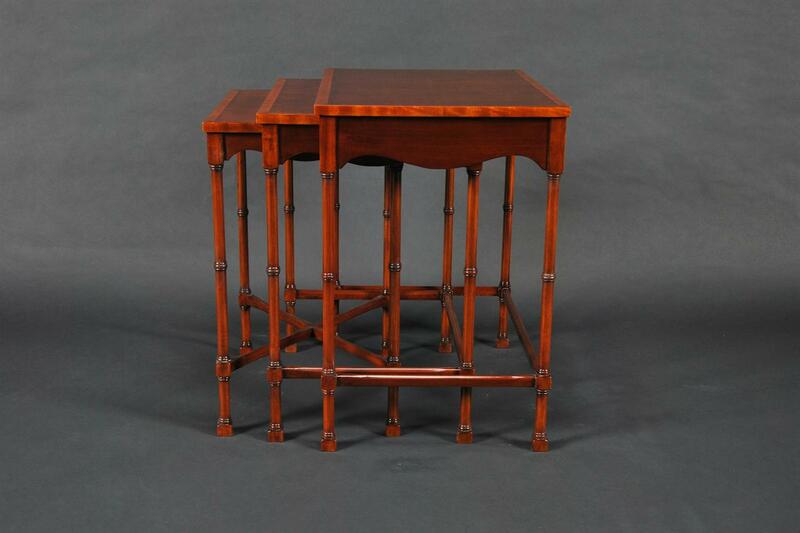 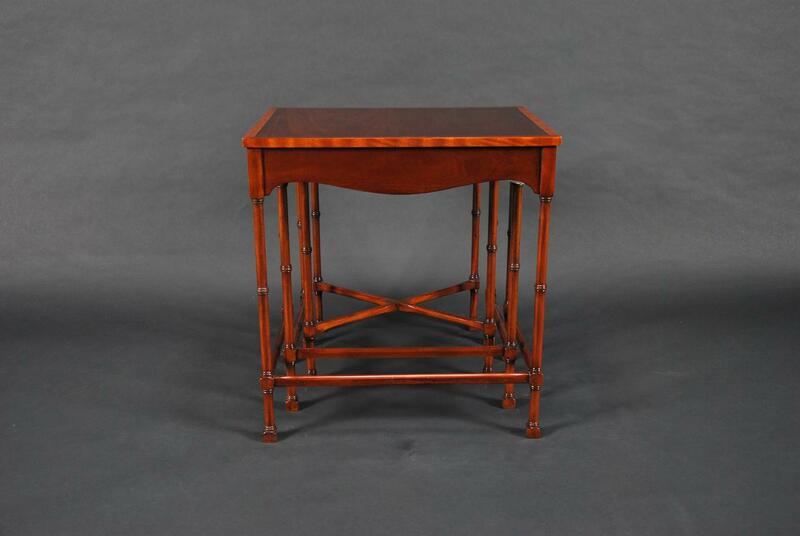 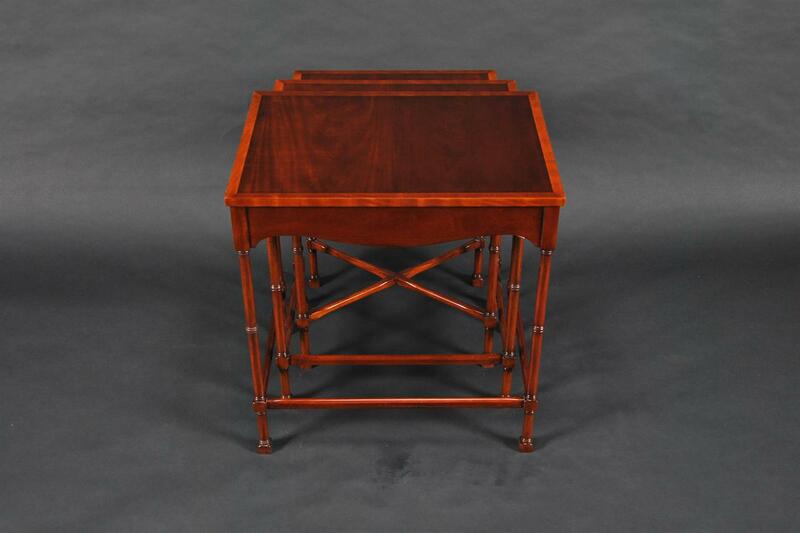 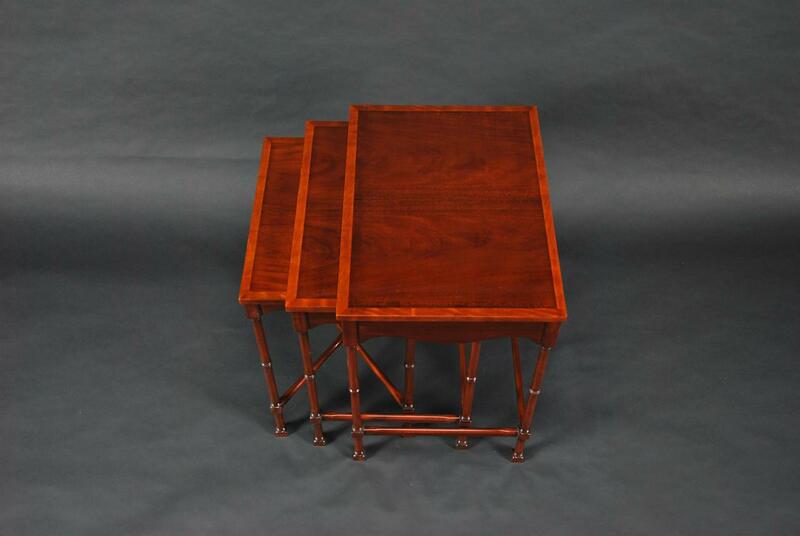 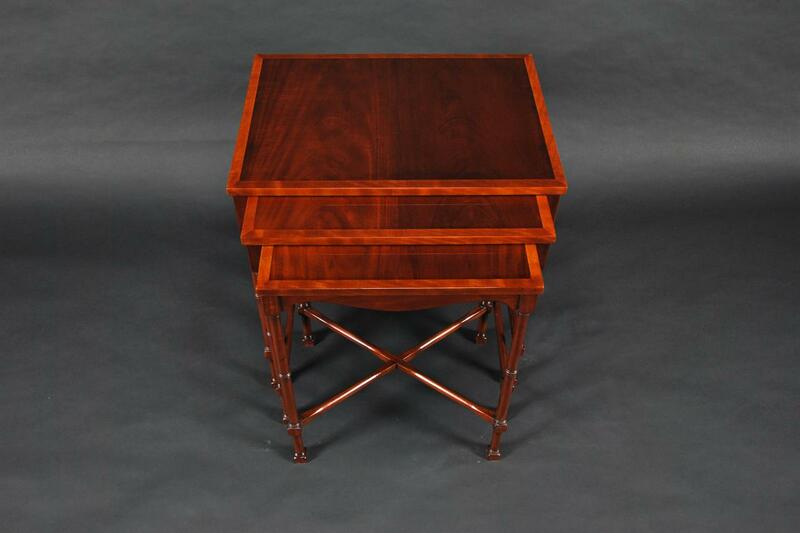 Description: Satin wood banding and mahogany grace the tops of this set of three nesting tables. 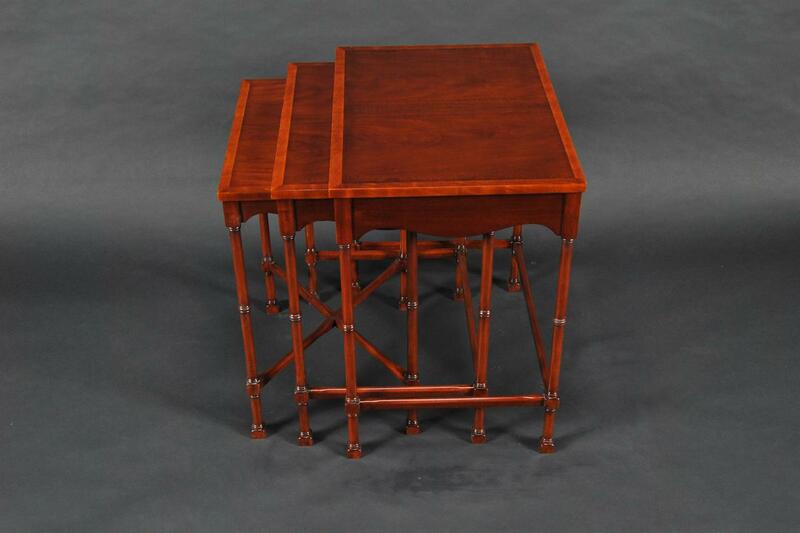 They store away in a compact space but can be easily taken out to provide extra surface space when needed. 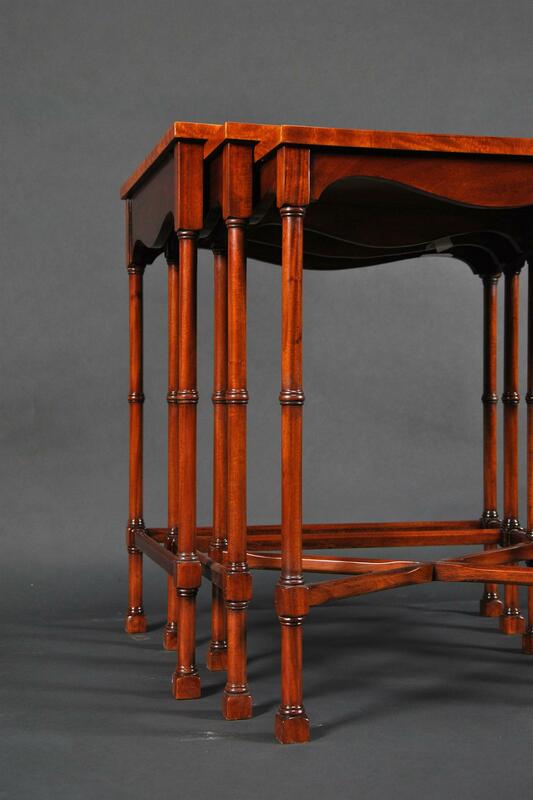 Shaped skirt along with solid mahogany legs create a distinct look for your home.